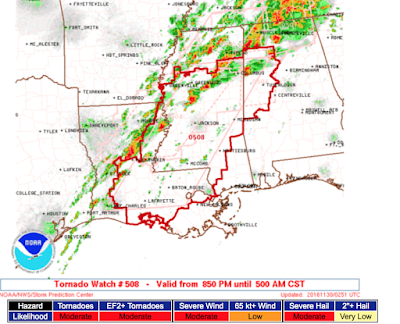 Overnight tornado watch just issued until 5am CDT. Tornadoes overnight are exceptionally dangerous: Death rates at least 4 times higher than during the day. Make sure you have an tone alert weather radio or similar warning reception system. 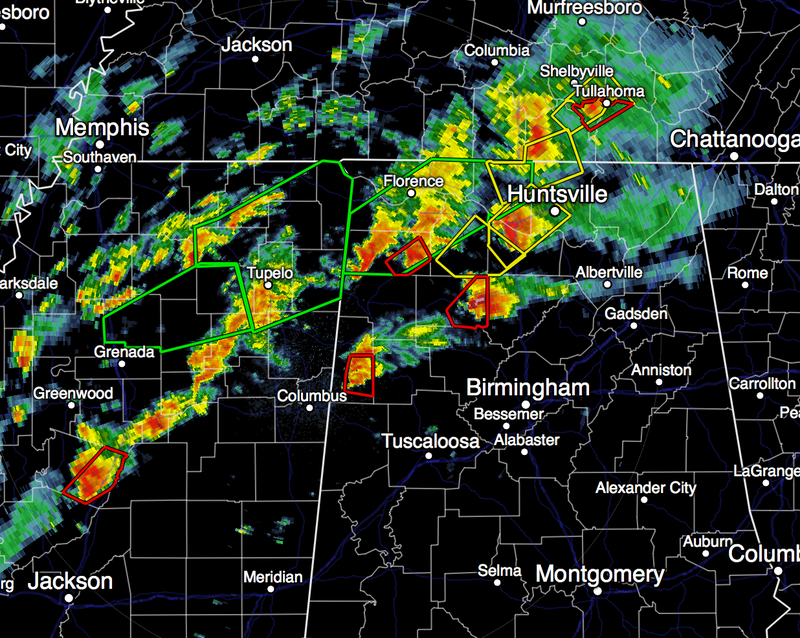 Red polygons are tornado warnings as of 8:55pm. This is so important, I wanted to make sure my readers know of the overnight threat. This truly is the last update of the night. Good luck and stay safe.